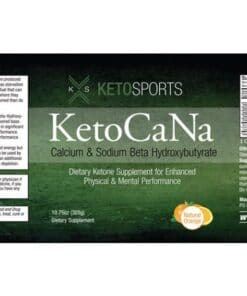 INGREDIENTS: Beta Hydroxybutyrate, Amino Acid Blend (L-taurine, L-tyrosine, L-arginine, L-leucine), Natural Flavors, Inulin (Chicory Root), Potassium Citrate, Stevia, Ascorbic Acid, Butyrainete. Contains caffeine. Dairy Free; Gluten Free. Great product if you like chocolate flavour. Kept me energized all day!